Check out these annual recurring events taking place in Stockton, California! Here are some of the largest and best annual events to mark on your calendar, from exotic cultural celebrations to diverse food fairs, put these can't miss events on your list. Prepare to celebrate the Year of the Pig during the Stockton Chinese New Year Celebration! Held on the first Sunday in March, the annual celebration is considered to be one of the largest in San Joaquin County celebrating Chinese customs, traditions, and activities in downtown city streets. Learn more. This cultural event boasts a variety of traditional Cambodian practices and spiritual activities at the Wat Dhammararam Buddhist Temple. 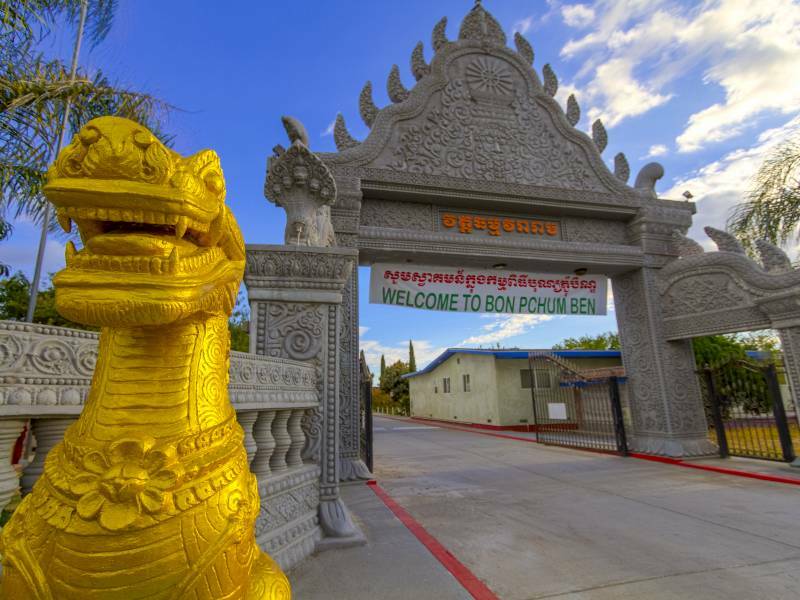 The three-day celebration is held annually in April and features an array of authentic Cambodian cuisine, unique performances, traditional dances on stage, and an abundance of local arts and crafts. Learn more. One of the most anticipated events in Stockton, California is held annually in April. The San Joaquin Asparagus Festival is recognized as the largest event celebrating the asparagus spear on the West Coast. For one full weekend, festival-goers can indulge in almost every creative type of asparagus dish, from burritos and corn dogs to ice cream and pasta. Held at the San Joaquin Fairgrounds. Learn more. StocktonCon is the largest two-day pop culture celebration in Stockton, California for fans of comic books, superhero movies, anime, and in general, all things geek! The convention held respectively in August in both the Stockton Arena and University Plaza Waterfront Hotel. It attracts fans from around the region, many of whom will be coming to revel in the costumes and explore pop culture in an entirely unique way. Learn more. The Annual Stockton Brew Fest moves outdoors in August to coincide with Stockton Beer Week's new dates. Beer lovers from around the region are invited to enjoy the park-like setting of the Waterloo Gun & Bocce Club. The outdoor festival will shift to late afternoon and make room for additional breweries, larger games, more food options, and multiple musical acts. Learn more. If you're a food connoisseur, this is the perfect festival to wrap up summer while in Stockton, California. The Annual St. Basil's Greek Festival is held the second weekend in September and has been celebrating its customs and traditions on the Church's grounds for nearly 6 decades! The festival highlights an array of authentic cuisine and treats made with love from recipes passed from generation to generation. Learn more. Stockton Arts Week is a ten-day celebration dedicated to the vibrant arts and cultural scene in Stockton, California. The celebration is held each October at various galleries, storefronts, and other venues throughout the city. You will get a chance to explore plenty of music, visual arts, performances, and art exhibits back-to-back for ten days! Learn more. The Annual Lighted Boat Parade is a favorite Downtown Stockton tradition. Held on the first Saturday in December, watch as dozens of brightly lit and beautifully decorated boats parade along the scenic Historic Downtown Waterfront. Be sure to locate your favorite viewing spot, as festively decorated boats and yachts arrive promptly at 6 pm! Learn more. Need more recommendations throughout the year? Visit our comprehensive list of annual events in the Stockton, California region. You can also message us 7 days a week for assistance on shopping, dining, and things to do in Stockton, California. Follow us on Facebook, Twitter, and Instagram - and be sure to use #VisitStockton during your visit!